Israeli PM Netanyahu announced today his cabinet’s decision, “To suspend new construction in Judea and Samaria.” (Yes, they still call it Judea and Samaria). The Obama Administration responded within hours with a statement released by Secretary Clinton followed by a press briefing from Special Envoy George Mitchell. On the face of it, this was a step forward by the Israeli government, acknowledged and welcomed (though not blessed) by the US government, and a move that one hopes will facilitate Palestinian agreement to resume negotiations. But if one digs just a little bit deeper, it becomes very evident that it was nothing of the sort. Rather, today’s events closed the first chapter in a game of dare being played out between the new leaderships in Washington and Jerusalem. Today’s statements appeared to be part of an elaborate and ongoing dance of suspicion between the two supposed allies. During his first term as prime minister in the late 90’s, Benjamin Netanyahu made an enemy of then US President Clinton and played the Republican congress against the Democrat president. This directly led to the collapse of Netanyahu’s government and his fall from office. Judging by today, Netanyahu is keen for a repeat performance albeit under circumstances even less propitious for him politically. The response of the Obama team might be an interesting pointer as to where things might be headed on the peace front. The Obama administration has been calling on Israel to make good on a settlement freeze commitment dating to the 2003 Bush-era Road Map (and, questionably to the 1993 Oslo DoP). Netanyahu has been unwilling to do anything of the sort. He sought to codify a set of exemptions to a settlement freeze or in plainer English, guidelines for ongoing settlement expansion, and to have those blessed by Washington. The Obama team refused to become the first ever American government to formally authorize settlement expansion. That is the situation we have reached with today’s announcement. Netanyahu’s cabinet clarified its so-called “settlement restraint” policy with today’s decision (some have called it a “moratorium” or a “freeze” but as you will see shortly, it is nothing of the sort, and those words are an inappropriate description). The only apparent restraint in the Israeli cabinet decision was to suspend issuing of new permits or beginning new construction in the West Bank for ten months. The less restrained side of the equation is this: 3000 units already under construction will continue; all public buildings and security infrastructure will continue to be built; no restrictions would apply to occupied East Jerusalem; and construction would resume after ten months. Netanyahu also repeated the totally (meaningless)commitment of no new settlements or land confiscations (meaningless because since 1993, the official policy is no new settlements yet via expansion, new neighborhoods and outposts, the West Bank settler population has grown from 111,000 then to over 300,000 today, and because although the built-up area of settlements constitutes only 2% of West Bank land, double that amount is slated for growth, and a total of 40% comes under the Settlement Regional Councils, therefore land confiscation issue is a red herring). 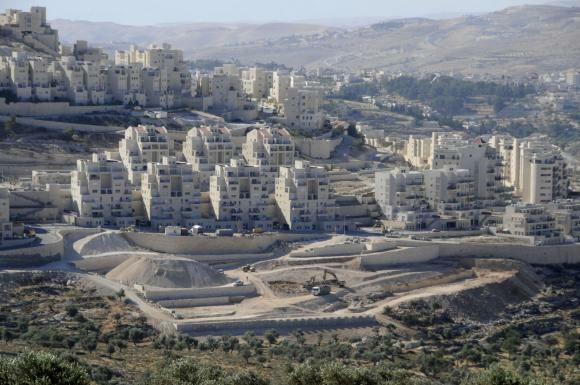 While it is technically true that this “restraint” is a new Israeli commitment, its practical relevance is of very limited significance – building 3000 units in ten months neatly dovetails the regular annual settlement construction rates. Moreover, Netanyahu made sure to assertively mention all these caveats in today’s announcement – in effect, poking the Obama administration, the international community, and the Palestinians in the eye. While some claim this was a politically courageous act by Netanyahu, the real litmus test is easy to apply: Has this led to any shakiness, any crisis, any resignations in the most right wing coalition ever in Israel’s history? The answer: absolutely not, and resignations in Israeli politics are about as rare as Turkeys on Thanksgiving. Netanyahu’s so-called “restraint package” was so minimalist that it kept his coalition happy while doing nothing to advance a genuine peace effort (Yes, there is some criticism from the far-right, and Netanyahu’s supporters will point to it as proof of his bravery, but as I say, the real test is in his coalition – and there: not so much as a wobble). The interesting development today, indeed the unprecedented development, was in the US response. Yes, Senator Mitchell did pro-forma explain why this is new, why this was progress from the Israeli government. But the real American response came elsewhere, in Secretary Clinton and Envoy Mitchell’s statements. They did not bless the Israeli non-freeze, explaining it fell short and that they expected more, and that “America does not accept the legitimacy of continued Israeli settlements”. (Admittedly they could have explicitly said that after ten months and the 3000 units, their expectation was for not a single new home to be built, they didn’t). Every conflict and every situation has its own lingua franca. In the Israeli-Palestinian context, a state based on the 67 lines is the dog-whistle for what constitutes a real, no-B.S. two-state outcome. It is also language that the US has conspicuously avoided using – avoided that is until today. Previous administrations would speak of UN Security Council Resolutions 242 and 338 (but those are interpreted differently by the Israelis and Palestinians); the Clinton Parameters of December 2000 suggested percentages on territory, but never mentioned the 67 lines; in June 2002, President Bush used the phrase, ending the “occupation that began in 1967.” That language was adopted in the 2003 Road Map and used verbatim by President Obama in his September United Nations General Assembly speech. It is language very much open to interpretation. The “1967 lines” language add a far greater degree of clarity – and, as such, is an anathema to the Greater Land of Israel, anti-peace forces (many of whom are represented in today’s Israeli government). Interestingly, Secretary Clinton had begun to play with this language during her recent Middle East trip but had never been so explicit – until today. It is true that this adoption of new language comes late (perhaps too late) in the process and will need to be backed up by more concrete steps. It is though progress. So the subtext of what went on today – the Obama administration is beginning to up the ante, at least declaratively, in the signals it is sending in response to Netanyahu’s stubbornness on settlements, and in setting the table for the next phase of its peace efforts. The question of course is – what next? Senator Mitchell gave some hints about that also. He suggested that the US was still pursuing a comprehensive peace effort and notably discussed Syria at some length. He briefly mentioned the option of resuming regional multilateral talks with Israel and various Arab states on issues such as water and energy at an appropriate time. Most interesting perhaps, Senator Mitchell explained that negations, “will proceed on a variety of tracks,” and while he continued to push for the resumption of direct Israeli-Palestinian talks, he also spoke of parallel talks that the US would conduct with each of the parties. This combination of back-to-back negotiations – US-Israel and US-Palestinians – combined with the reference to the 1967 lines may signpost the way out of the peace impasse. The US will need to elaborate and put flesh on the bones of its “based on the 1967 lines” parameter and then pursue a conversation, mostly with the Israeli side, on how to implement that, and if necessary go public with a plan and tie incentives/disincentives to its acceptance/rejection. This page contains a single entry from the blog posted on November 25, 2009 7:02 PM. The previous post in this blog was Not serious - this time. The next post in this blog is How Israelis See Obama.